The moment the Dark Shamans died we relentlessly proceeded to the following boss, General Nazgrim. Now while we knew he had the reputation of an easy boss, we had some very bad experience when approaching fights with such attitude, hence we were careful not to get carried away. Admitedly though, it appearch this time the reputation is well deserved, for a second boss to drop tier items, this wasn’t exactly breathtaking of an experience. For that reason no kill movie here either. 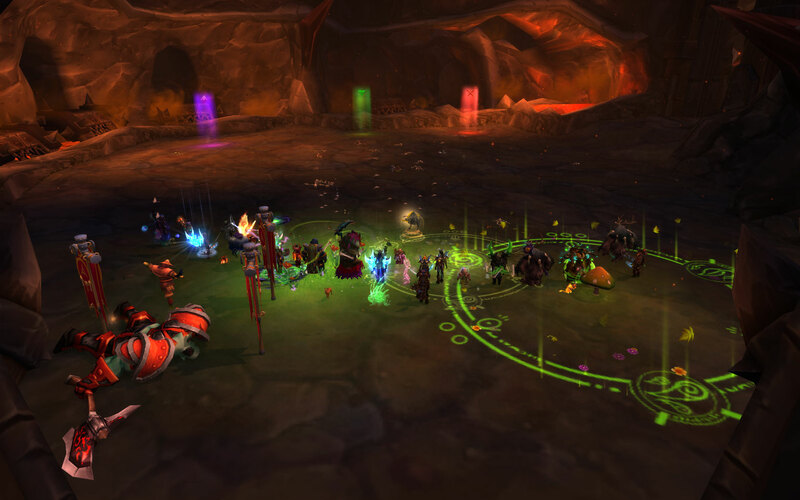 This puts us at 8/14 heroics killed. Safe to say the progress is better than we hoped for. Again, not to get carried away though. The easy part is done. Now it gets tough. This entry was posted in Uncategorized by Smalle. Bookmark the permalink. Lamme doing it from behind!